It’s the day before a large conference, and you have 300 ID cards to laminate with. Do you want to be using the $49.99 plastic laminator you got at Target that can handle one ID card every three minutes or the Akiles 6” Pouch Laminator, which is capable of laminating 0.4” per seconds without the need for foil carriers? I guess you’d prefer to use the Akiles. The Akiles 6” Pouch Laminator is essentially a laminating machine designed to take laminating pouches up to 6-inches in diameter. It’s commercial-grade, heavy duty and has four silicon rollers, which eliminate the need for foil or paper carriers. The best part? You can leave it on standby. This mode keeps the unit hot but doesn’t run out the motor. So no more waiting 20 minutes for your laminator to heat up. 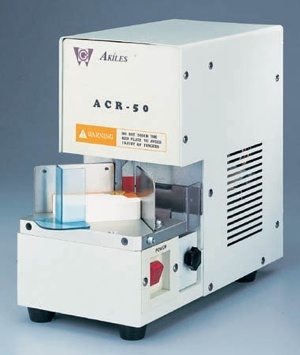 The Akiles 6” Pouch Laminator sells for an affordable $209.00 on the Lloyds website. Considering how much time it will save you regarding waiting for the machine to warm up and then on the actual laminating, it’s well worth the cost. 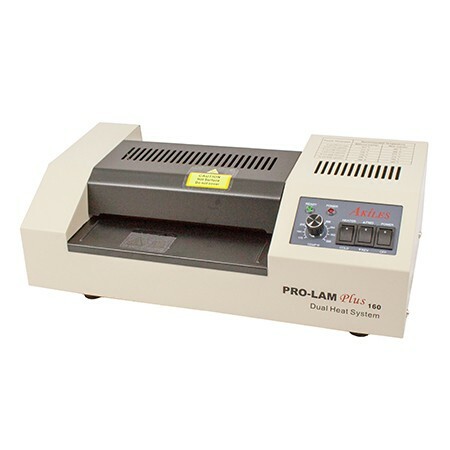 For more information on the Akiles ProLam Plus 160 Pouch Laminator, visit our website. Previous Post:UV Coating Fluid Flaking?